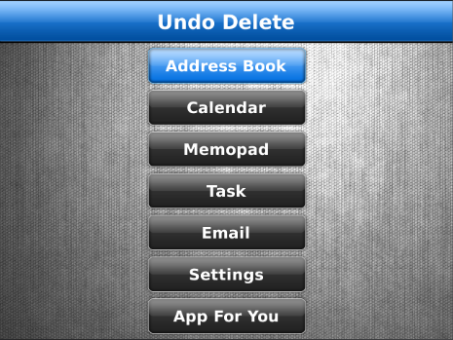 Undo Delete v1.3 – Undo Delete will restore your last deleted email, memo, task, contact or calendar entry. NOTE: Due to technical limitations only Contacts, Memos, Tasks, Emails and Calendar can only be restored. Deleted Emails are restored in Drafts folder due to technical limitations. 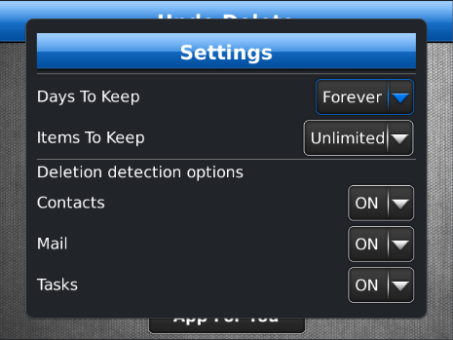 To find your Email go to the particular Email Account Folder and filter the Drafts from selecting – Filter – Drafts from menu options. Other items can be restored as original items. Go to the app, Select the category, click on the item to restore it back.